You are at:Home»Ownership»Brands»Hotel Openings Abound in the U.S. The Shinola Hotel in Detroit. 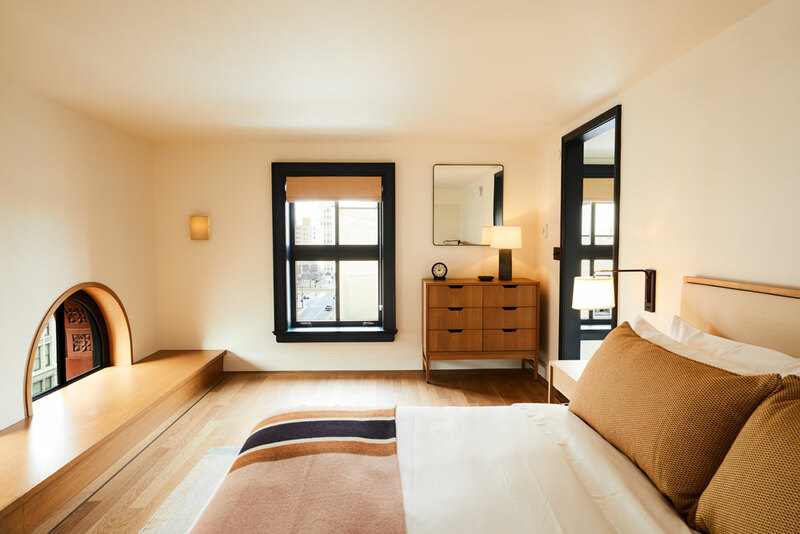 NATIONAL REPORT—The first Shinola Hotel opened in downtown Detroit’s shopping district this month, Best Western Hotels & Resorts opened three properties, and there’s much more. The project marries two restored buildings—the onetime T.B. Rayl & Co. department store and a former Singer sewing-machine store. They’re joined with three thoughtful new annexes designed to breathe new life into the block. Accommodations include 129 guestrooms with residential-style units, along with 16,000 sq. ft. of retail and F&B space, including a lobby restaurant, mezzanine lounge, conservatory and event space. Also on-property, there’s an activated alley bustling with life and the hotel’s outdoor beer hall. 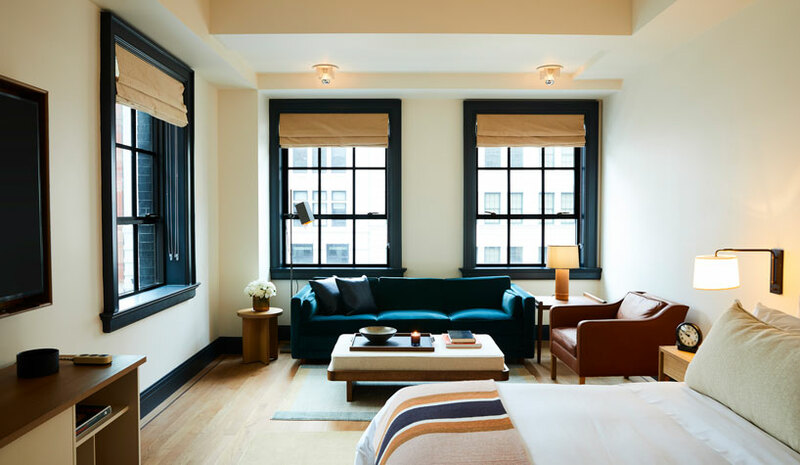 With locals and visitors in mind, the Shinola Hotel will provide something else new for downtown—a social “living room” designed for spending quality time in good company. Richly appointed rooms off the lobby offer warm environments to create, snack or just hang out. The Best Western McMinnville Inn opened in McMinnville, OR. Owned by Shreeji Hospitality Group McMinnville LLC, the hotel completed a $1-million renovation and has 65 guestrooms, including three suites. Elsewhere, the Best Western Palmyra Inn & Suites opened in the Finger Lakes region of upstate New York. The newly renovated hotel is owned by Palmyra Hospitality. Also, the Best Western Plus Coalinga Inn opened in Coalinga, CA, in the western San Joaquin Valley. Owned by Mike Merchant, the central California hotel has 70 guestrooms. Radisson opened the newly renovated Radisson Hotel and Conference Center Fond du Lac in Fond du Lac, WI. There are updated common spaces and guestrooms with contemporary designs. Accommodations include 133 guestrooms and suites. Amenities include a 24-hour business center, fitness center, complimentary parking and free WiFi. Uptown Suites has opened its fourth extended-stay property outside of Tampa in Riverview, FL. This is the second extended-stay property to open in the Sunshine State, following its Homestead location. Uptown Suites will continue to expand its footprint this year with another six properties to open in the greater Denver; Austin, TX; and DC metro areas. The hotel has 128 rooms; amenities include free WiFi, 43-in. smart HDTVs, and rapid charging USB ports. An in-room kitchen is outfitted with a full-size refrigerator, microwave, two burner-stovetop, and Keurig coffeemaker. There’s also on-demand grocery delivery, 24/7 gym, on-site guest laundry and an electric car charging station. Pets are welcome. Franchised by Choice Hotels International Inc., the Cambria Hotels brand continues its expansion with the opening of a hotel in Omaha, NE. The 128-room upscale Cambria Hotel Omaha Downtown is the first Cambria hotel to open in the state, joining the brand’s growing presence in key Midwestern cities, such as Chicago, Indianapolis, Columbus, Ohio, and Madison, WI. The Cambria brand pipeline also includes hotels in Cincinnati, Milwaukee, and Minneapolis.